World Affairs Council Inland Southern California - North Korea's Military Challenges - Does the World Have a Good Response? Talk only - 6:00 pm. Five high school students and chaperoning teacher. University of Redlands Professor of Government Graeme Auton was a NATO Research Fellow and a Ford Postdoctoral Fellow at Harvard's Center for International Affairs. 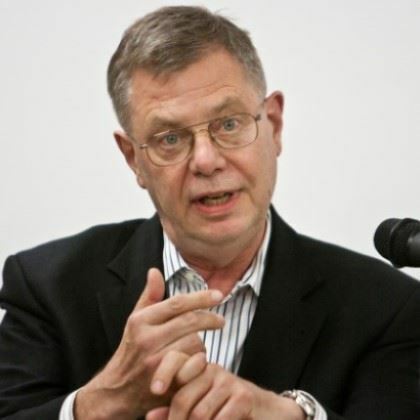 In the early 1990s he worked for the U.S. Arms Control and Disarmament Agency in Washington, Brussels and Vienna. In 2006 he undertook a research visit to the Russian Far East, and in the fall of 2007 he spent four months in South Korea as a Senior Fulbright Scholar, teaching international security studies at Kyung-Hee University, Seoul, while working on a book on Northeast Asian regionalism. He is presently working on a book about security and political-economic aspects of Northeast Asian regionalism. Please download and share the flier with friends and colleagues or use it to register by mail. Please note our new mailing address on the flier.